As a business owner, you prioritize your employees' safety, as well as your customers' satisfaction. It's easy to care for both when you depend on Rite Services to keep your base of operation's roof in great condition. When it comes to commercial roofing in The Woodlands, TX, no other team is more trusted or preferred, and it's easy to see why. We're proud to maintain an A+ ranking with the Better Business Bureau. Whether your business sports a metal, asphalt, or flat roof, our commercial roofing company can handle it. We're well-acquainted with many of the issues these types of roofs encounter over the course of time, and we offer a variety of cost-efficient solutions for every savvy shopper. Free estimates are available for anyone looking to glean insight into the costs of our commercial roofing services, including repair and replacement. Discover the difference a commercial roofing contractor with more than 20 years of experience can make in your business's beauty and safety. Thanks to our skills and our large selection of services, it's easy to schedule regular roof inspections, roof repairs, and even roof replacement projects. You never have to depend on help from a general contractor when our expert roofers are around. Licensed, bonded, and insured roofers are ready and waiting for your service request now. We understand that leaks, holes, and other serious damage need urgent attention. 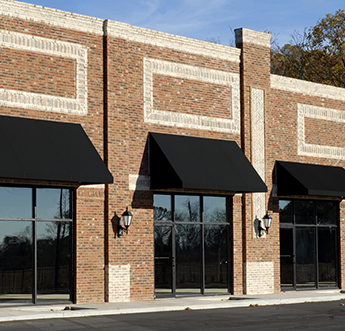 Reach out to our commercial roofing company as soon as you notice a problem in your roof. We care about your safety, as well as your property's appearance, so don't hesitate to get in touch with our team. You never need to work with multiple contractors to schedule essential commercial roofing services. Whether you're dealing with a leak, searching for a replacement, or interested in upgrading, our commercial roofing is up to the task. You can trust each member of our team to treat your property with the care and respect it deserves. Ask our roofers for more information about commercial roofing installation. We're committed to installing roofing that lasts for years to come - that's why we hand-nail every piece of the material you choose in order to ensure it performs as intended. Additionally, clients that schedule new roof installation receive our 10-year leak guarantee.